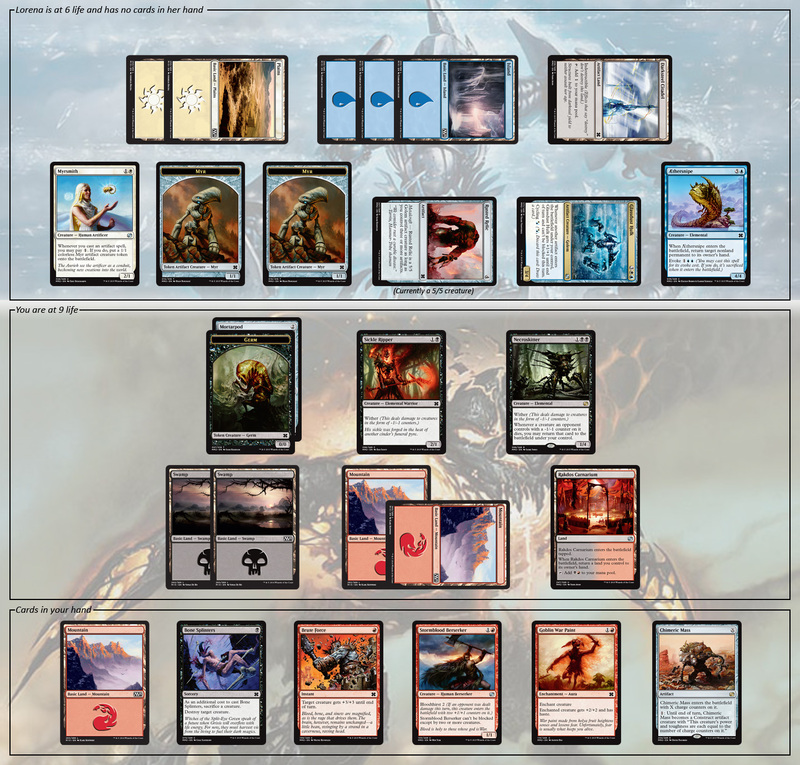 You got to a fast start in the third game of your Modern Masters 2015 Edition Draft match, dropping creatures on your first three turns and getting your opponent Lorena down to single digits. 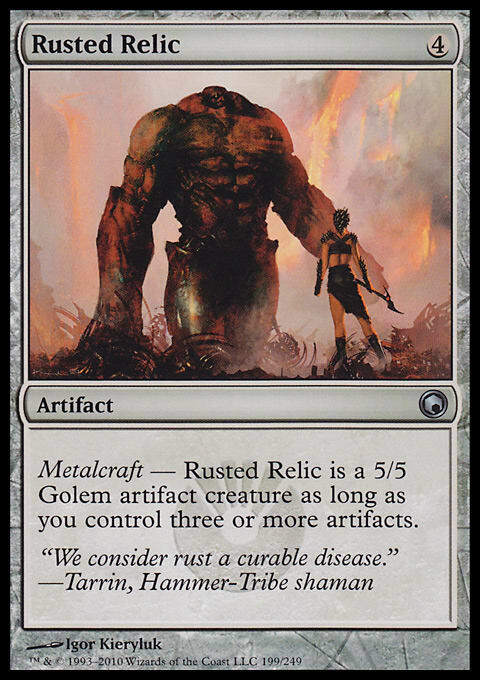 After that, however, Lorena managed to stabilize the board by playing several artifacts, eventually allowing her Rusted Relic to hold the ground as a 5/5 creature. Once all of her defenses were in place, Lorena started making attacks against your life total. She didn’t make very good progress though—you simply kept blocking her Rusted Relic with your weakest creature and then sacrificed the creature to your Culling Dais. Eventually, you built up quite a few counters on the Dais, although you lost most of your offensive line in the process. The turn after Lorena tapped out to cast her Aethersnipe (sending your Chimeric Mass back to your hand), you decided to make your move. Your first order of business was to sacrifice your Culling Dais. Ending up with six cards against Lorena’s empty hand, you found yourself behind on board presence but well ahead on card advantage. At that point, your friend Mari (who had been watching the game all this time), started waving her arms frantically. You and Lorena both gave her a strange look, which only got her even more excited. After a couple of other spectators gained the head judge’s attention, Mari finally quieted down and you continued the game. Your card advantage and a couple of good draws were enough to overrun Lorena’s position, and you sealed the deal a few turns later. The moment you gathered up your cards and left the table, you found Mari making strangling noises at you. “There is something seriously wrong with you,” you tell her. “When you sacrificed your Culling Dais!” Mari almost screams at you. You think back to that critical point in the game. You know that Mari’s certainly a very excitable person. But is she right? It is the middle of your first main phase. Defeat Lorena this turn. Click here to view the board-state image for this puzzle. You have not yet played a land for this turn. If you think you have a great solution in mind, don’t put it in the comments! Instead, send it to puzzles at gatheringmagic dot com with the subject line “Puzzle — Now You See It”. We’ll include the best ones in next week’s article along with the next puzzle! Last week’s puzzle received a large number of responses. Correct solutions were received from Russell Jones, Jonathan Kustina, David Jacobs, Mark Koster, Diego Hurtado Sánchez, Aaron Golas, Joshua Hupp, Sebastian Søberg, Quadrangolo Tetra, David J Robinson, Jeroen Verhallen, Miko Losantas, Matthew Wilson, Daniele Civelli, Nathan Olson, Norman Dean, João Filipe Cid, Max Brett, Michael Roesler, Eric Williams, Matt Aloisio, Kyle Wyatt, Andrew Muravskyi, Bill Cheng, Matthew Roman, Jake Enk, Addison Fox, Richard Galambos, Evan Stoddard, Igor Lelieveld (with credits to Maurits), Ole-Christian Nilssen, Simon Lazarus, Harley O'Neal, Joseph Megill, Benjamin Cottee, David Hagedorn, Jeffrey Clinard, Jon Culver, Mattias "Slanfan" Berggren, Hyman Rosen, Andrew Vo, Tom van Laanen, Leon Davis, Javier García Lloreda, John Stein, Kyle Rozon, Hao Ye, Evelyn Kokemoor, An?elko Višekruna, Kit Julian, Matthew Harvey, Will Lewis, Vincent Kiernan, and Aaron Day. We can start by taking stock of what our options are and potential responses. First, we can safely ignore Goblin Fireslinger's ability since it only hits players and we are at 6 life. So its only utility here is as a 1/1 blocker. Next, we note that we have little power on the board (8 power over six creatures), so trying to trample over seems unlikely—we gain up to 6 more off Thrive for 14 power, but the opponent has 17 toughness over four creatures. 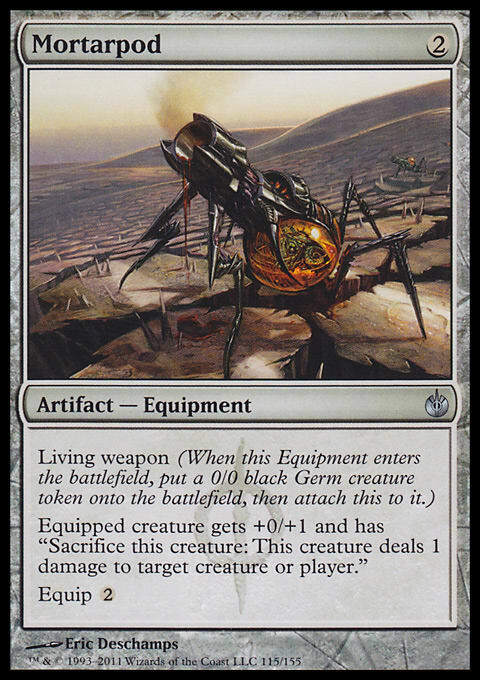 Leverage Thrive and the exalted effect of Noble Hierarch to bring Bloodshot Trainee up to 4 power. Leverage Blades of Velis Vel to give Vigean Graftmage all creature types, making it an Elemental and allowing you to spend Smokebraider mana to activate its untap ability. Pay to cast Thrive for 1, targeting Bloodshot Trainee. Trainee is now a 3/4. Attack with Bloodshot Trainee. Noble Hierarch’s exalted trigger makes the Trainee a 4/5. Now in combat, tap the rest of your non-Island lands for mana (total of 5 mana), and tap Smokebraider for 2 mana, at least 1 of which must be blue. Using all but 1 blue mana from Smokebraider, activate Soulbright Flamekin’s ability three times, with at least one target being Bloodshot Trainee. Your mana pool is now . Tap your Islands and Noble Hierarch for blue mana. Your mana pool is now . Pay to untap Trainee (we can use the Smokebraider’s mana now because Graftmage is an Elemental), and then tap it to kill Taj-Nar Swordsmith. Your mana pool is empty. Graeme’s only block is with the 1/1 Fireslinger, while we are attacking with a 6/5 trampler. Graeme takes a minimum of 5 damage and loses.